Altered Instinct: Tales From Alternate Earths - available for pre-order now - PLUS FIRST REVIEW! 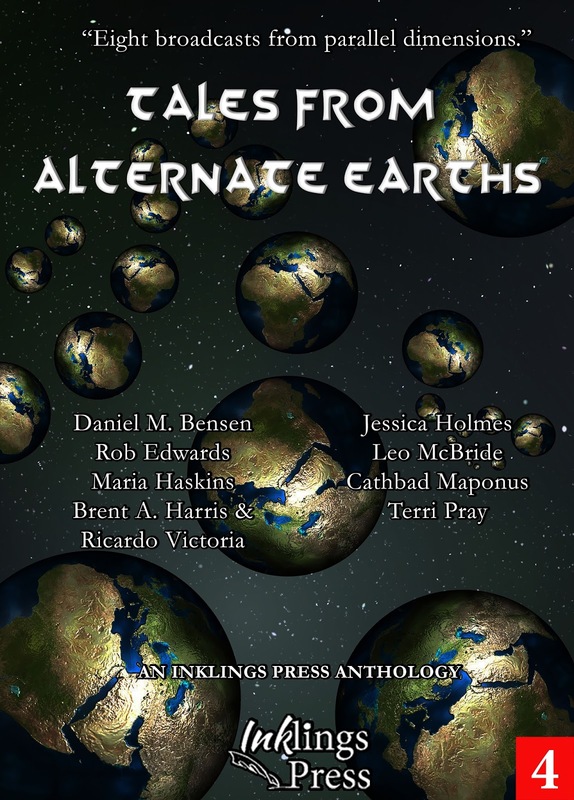 Tales From Alternate Earths - available for pre-order now - PLUS FIRST REVIEW! Ahead of the launch, we sent out advance review copies to several readers - and the first review, by author E.M Swift-Hook, is already here! There is surely no other step-child in the weird and wacky family that makes up the genre known as 'Speculative Fiction', which is better suited to the short story format than alternative history. It allows an author to hone in on a point, even a single moment, in history and ask 'what if something different happened?' The answer is often not one that needs volumes to explore, but is better left to clever tending by an expert of bonsai literary expression. This anthology is a veritable greenhouse of such well-shaped bonsai. Nuclear war actually having happened is the theme taken up by two of the authors, but with very different time points: 'September 26th, 1983' by Jessica Holmes and 1962 for 'One World' by Cathbad Maponus. One explores how Britain might be today if a Russian officer had not used cool headed common-sense back in the Eighties and the other is set in an America where the Cuban Missile crisis reached another possible conclusion. "So, you said Oxford Street. This is Oxford Street. Anything special you want to see?" 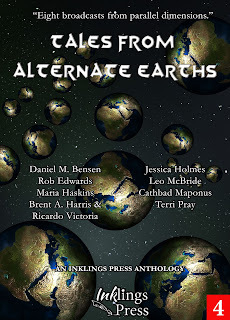 Meteor strikes impacted enough to inspire the work of three of the authors in the anthology. 'Stargazing on Oxford Street' by Rob Edwards, has a view of how London could be which is very different to the one we have today. 'Tunguska, 1987' by Maria Haskins provides a totally original take on the cataclysmic event that flattened miles of forest in an isolated corner of the vast Siberian hinterland. 'Twilight of the Mesozoic Moon' by Brent A Harris & Ricardo Victoria is set in an almost unrecognisable alternative present day earth, but then the timeline as it is pictured here diverged in geological not historical time. Away from the terrors of technology or the impact of astronomical objects, 'Treasure Fleet' by Daniel Bensen and 'One More Dawn' by Terri Pray both pose interesting and very human 'what-ifs?'. 'Treasure Fleet' considers the idea of a medieval China converted to Islam and 'One More Dawn' is set in Ancient Egypt as a dying Pharaoh is tended by his loving wife. Having a favourite in such a strongly written anthology as this is almost as impossible as having a favourite child - and may even be just as unethical, I am not sure. But I have to admit that I do have one: 'The Secret War' by Leo McBride. It is the one story that does the utterly unexpected and turns the idea of alternative history as approached by all the other stories in this collection completely on its head: what if a famous fictional story was really true? And then, when we have been brought to realise the impact of that, the author cleverly - and seamlessly - ties it into an equally famous real world event. This collection of historical 'what ifs?' are each a near-perfect miniature cameo and a genuine delight. I can highly recommend it to all connoisseurs of speculative fiction, no matter which branch or sub-branch of the genre is their preferred regular perch. I think the only negative criticism I could offer is that the anthology includes more than one story drawing on the same actual event or very similar scenario. I think I might have possibly enjoyed the book just that little bit more if each story was tackling something unique from all the others - and the stories I appreciated the most were those that moved away from the more explored post-apocalyptic tropes and offered unexpected, unusual 'what-ifs? '.